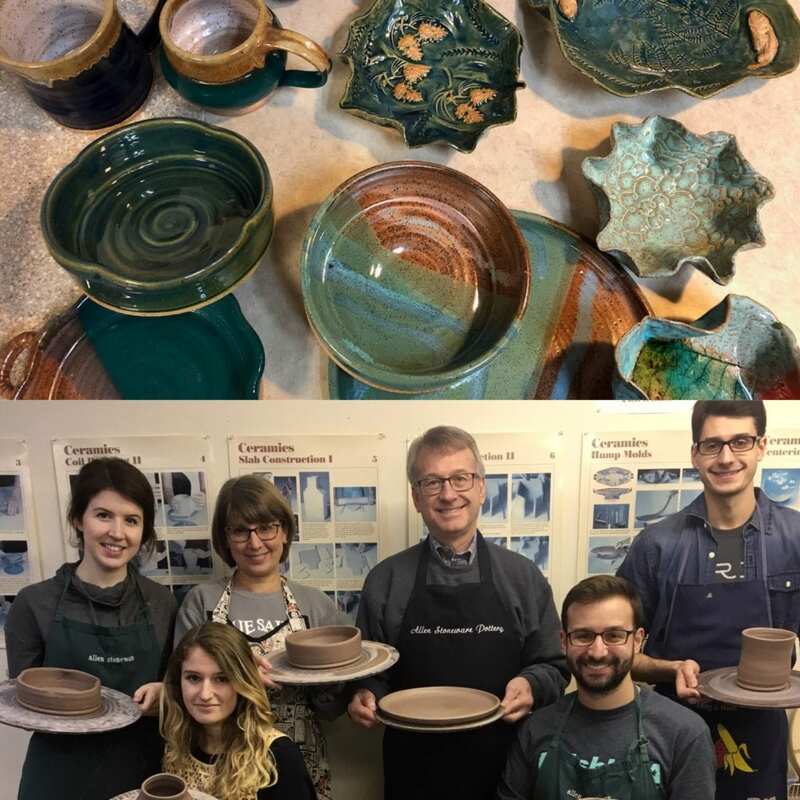 It is a one-day clay experience comprising one session for two or more people. For $65 per person, the group has a choice make one hand-built dish, and two wheel-formed pots. On the wheel, design and make your own bowl, mug or plate. We glaze the three pots for you. Materials included! Feel free to bring your own refreshments. We offer flexible timings. Just book a three hour slot on any day, as per your convenience. Call ahead to reserve! In this option, more than four people can attend one session for $55 each. 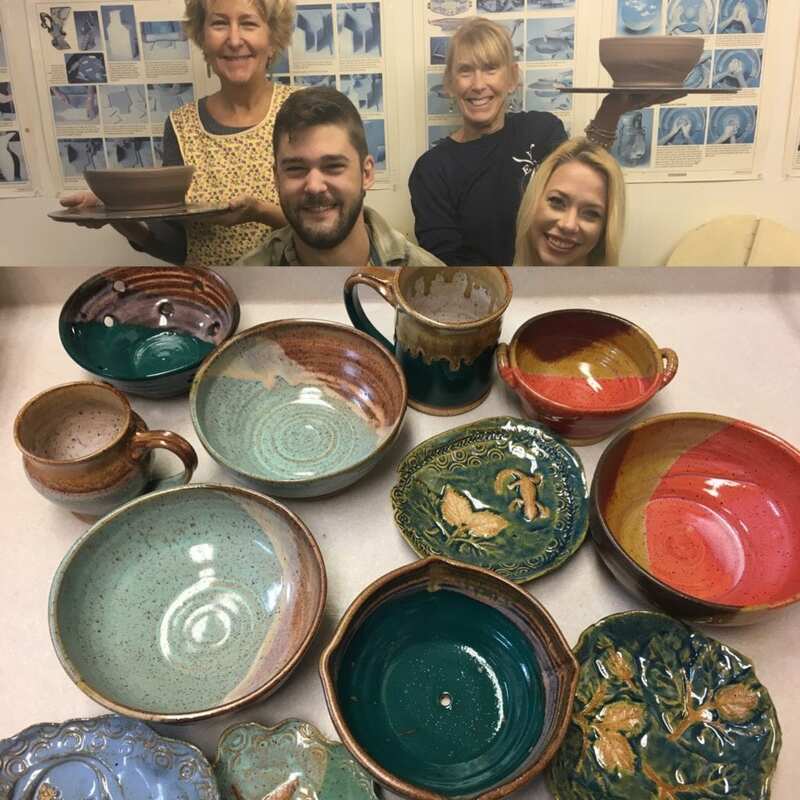 You’ll make two pieces in two hours; a hand-built dish and a wheel-thrown pot, and we will glaze them for you. You can bring your own refreshments. The minimum number of people is four. The youngest needs to be at least eight years old, and clay and all other materials are provided by us in the cost. 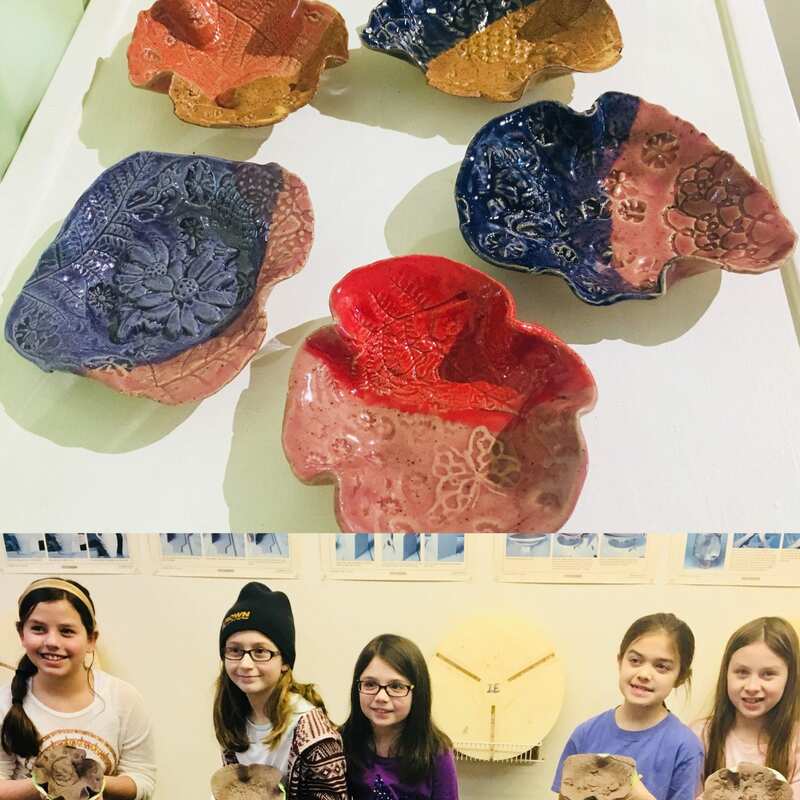 You can make a long-term commitment with our five-week pottery session. 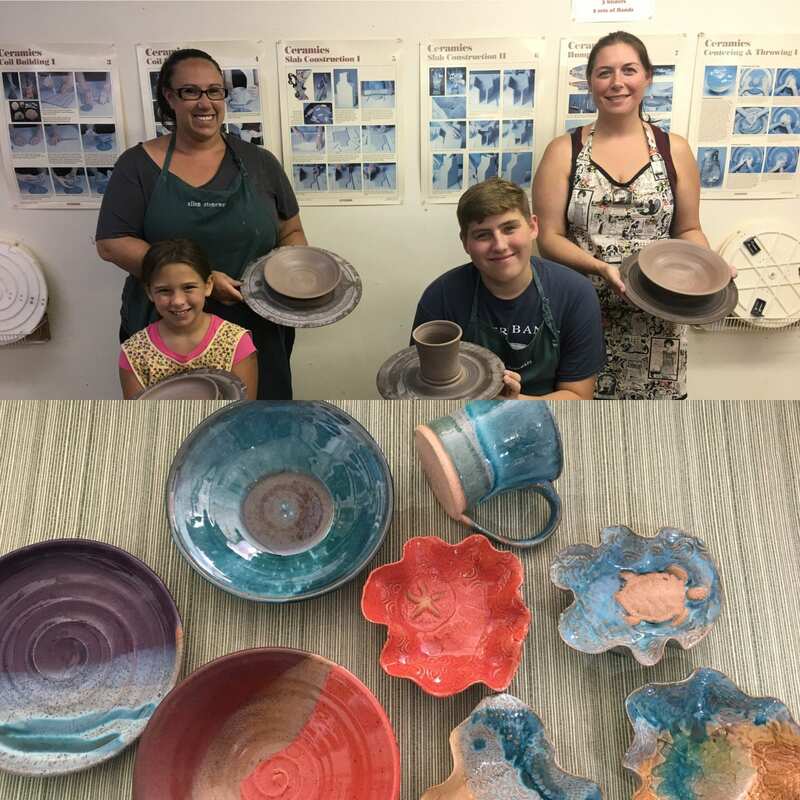 Make gifts or create pottery for yourself like dinner plates, serving bowls, pie plates, mugs, jars, vases, and more. You can make 12-15 kitchen-friendly pots. This session has 3-hour classes once a week, and the cost is $200. Materials fee includes glazes and handling in the cost of clay $45 for 25 pounds. When you practice our techniques, your kitchen friendly pottery will become quality pieces you’ll treasure.